'It's been an incredible year for the 20 year old Bristolian, responsible for igniting a worldwide passion in what's become known as the 'Purple Wow' mutation of dubstep. 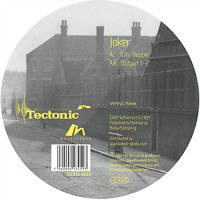 If you've yet to hear Joker's unique take on things - his melodic synth-funk lines, grimey basslines and all round sense of fun-injected-back-into-music... Then get out from under your stone and check it out! 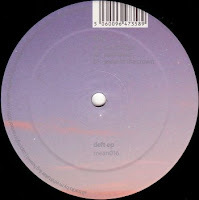 With releases on his own Kapsize imprint earlier this year - tracks like 'Do It' and 'Purple City' (w/ Ginz), Joker has sent shock waves from the underground that has rippled from Skream or Kode 9's record box to the likes of Scratch Perverts, Zane Lowe - to major label record companies even, hounding for Joker remixes... Just over the last 6 months he's handed in killer remixes for Simian Mobile Disco, Basement Jaxx, Sean Paul and many more - he's taken Sonar by storm single handedly and is now booked up with gigs every weekend until 2017. Well maybe not quite on the last bit, but it fits with the momentum building here. 'The culmination of a stellar year for Miles Whittaker. Now a happy father and central catalytic figure in a pivotal crew out of frontline Burnley, Lancashire. Beginning the year with a long awaited Pendle Coven debut album in collaboration with Gary Howell, continuing still at album level on Demdike Stare's 'Symbiosis' in congress with local disco don DJ and all round record hound Sean Canty. Miles has been shredding music this year - check last month's smouldering remix for Kevin Gorman on Mikrowave, 'One Cycle' for Modern Love + various Hate and Daphne twelves - more besides we don't even suspect yet - ferocious live and DJ sets across many different styles - all somehow still indisputably Miles.